Nice and clean notification windows for your website. 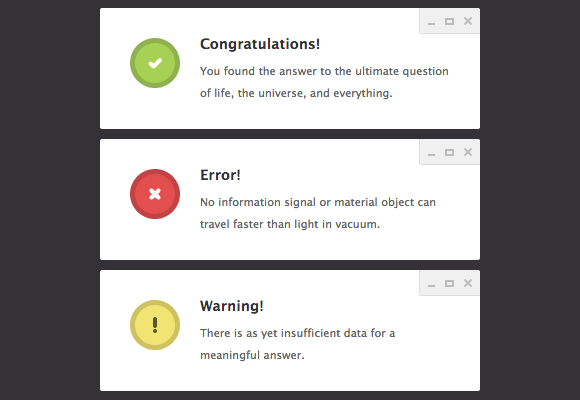 The script contains pure CSS icons and very nice colors. Before you can download it you can have a look to the demo page. If you have problems implementing it just leave a comment below. Freebies are always welcome. This is a set with 204 Google Plus Interface Icons by Web Design Shock. The freebie includes both vector (PNG) and pixel perfect (PSD) sources, color and gray versions and different sizes. Diswy is a small application that lets you hide all the icons on your desktop. The application is portable, no installation is required. It does not change any Windows files and does not delete your icons. Your Icons will be resorted as soon as you restart your PC, so the effect is not permanent and to activate again you must re-launch the application. Yummygum is back with another iconSweets. A huge free icon set containing over a 1,000+ icons, all in a vector-shaped Photoshop format. 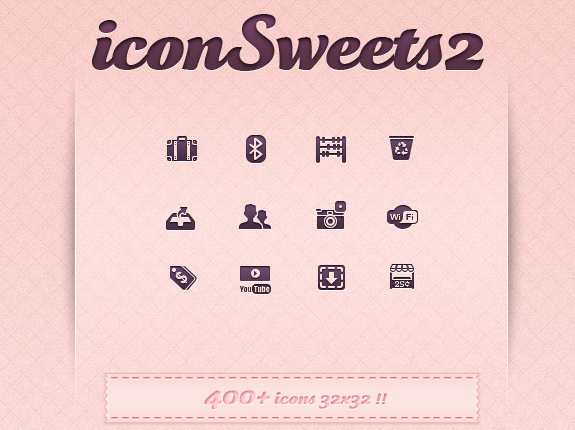 iconSweets2 will crunch your icon thirst for all of your iPhone, iPad & Android apps or new web projects. The last post about free icons that I remember is about web-2.0 origami icons that are very nice. Changing the style to modern icons, Morcha has designed some Web Browsers icons. Icons size is 256x256px in ICO and PNG format including images for:Firefox, Internet Explorer, Opera, TheWorld, Safari, Netscape, Tencent Traveler, Maxthon and Google Chrome.